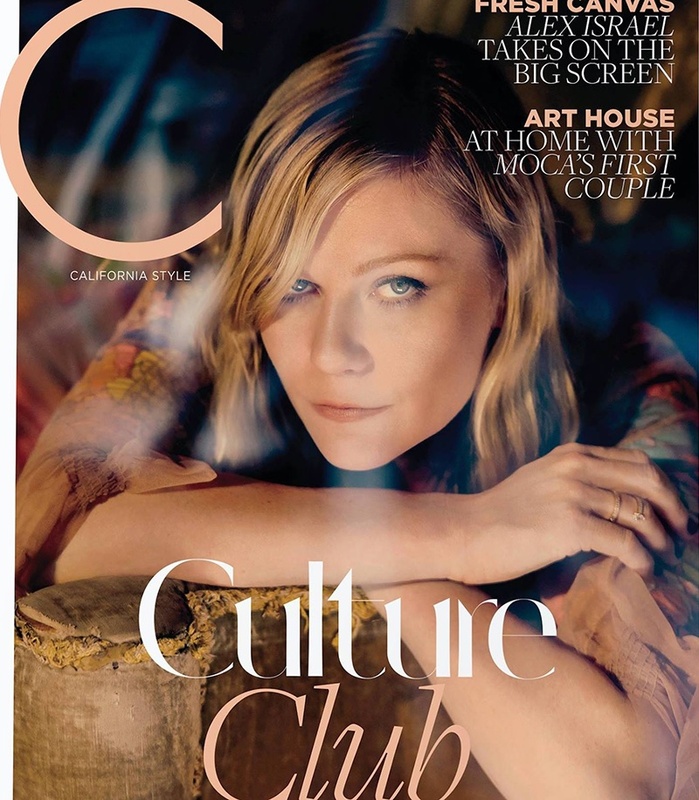 Actress Kirsten Dunst graces the October 2017 cover of C Magazine. Photographed by Kurt Iswarienko, the blonde beauty poses in a Preen dress. The star of ‘Woodshock’ poses in bold and colorful prints for the fashion shoot. Stylist Alison Edmonddresses Kirsten in a mix of suiting separates and dresses from the likes of Saint Laurent, Gucci and Repossi.